This is a quick review of Carson’s 60-120x LED microscope (MM-300). 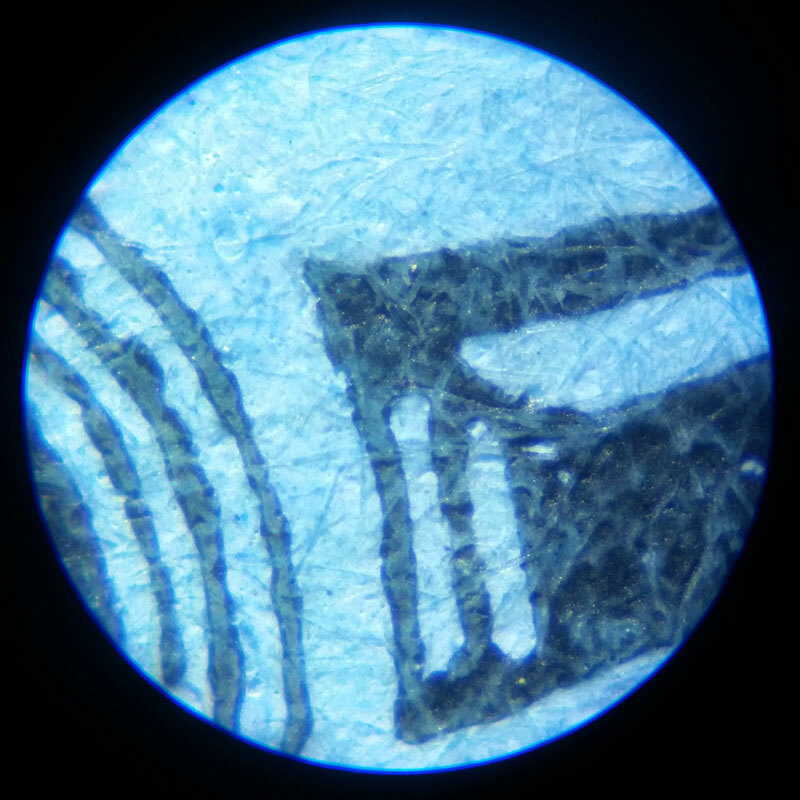 I bought one of these little microscopes late last year and was again impressed with Carson’s handiwork as I had been with their USB microscope. The following images should give you an idea of size and build. It’s a tidy thing. It’s a good compact size and fits in the hand or a pocket. I have found it very useful to make quick inspections of paper types. There is a lever with a circular motion that controls the zoom from 60-120x. I find the 60x is most useful to me. To control the focus there is a kind of rotating barrel that allows smooth adjustments so that you can see the image clearly. A bright LED illuminates whatever you are looking at in a nice white light. It requires one AA sized battery, which with the added weight makes it just about right in the hand. 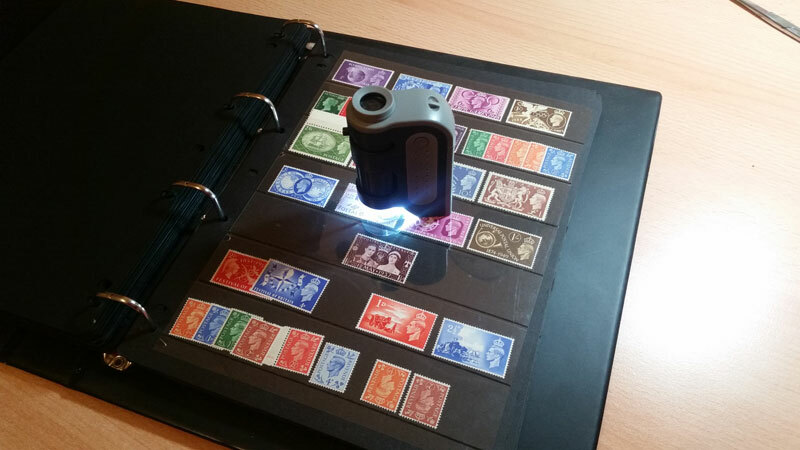 As a bonus; I have found that the bright LED light is good for showing watermarks on most stamps, some very clearly seen. If you have a smart phone with a camera then it is possible to take photos of the subject. I used a Galaxy S5 for these two shots, the first showing surfaced paper with little pits. 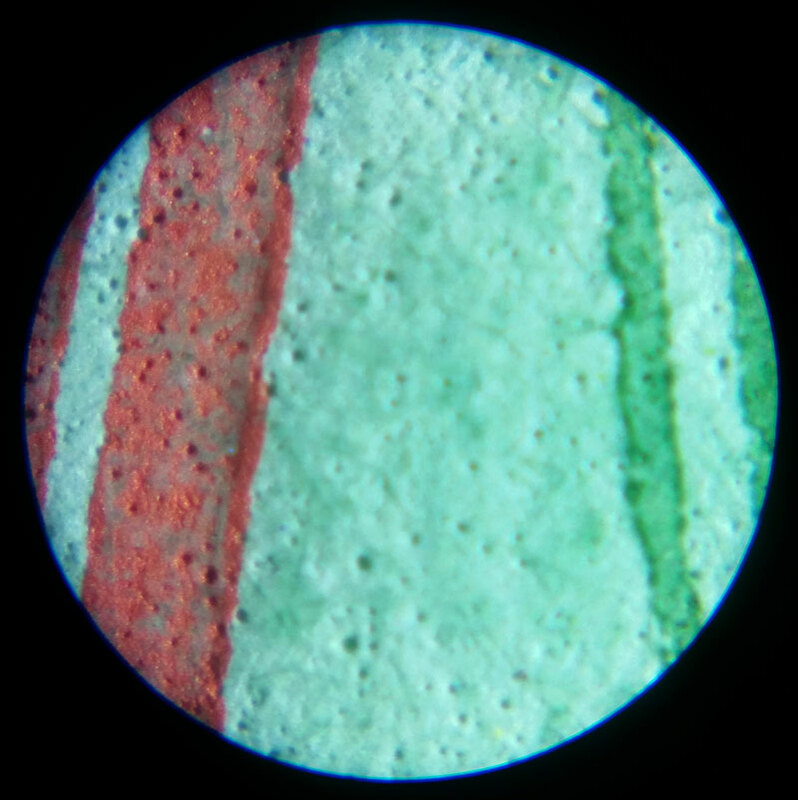 The latter shows ordinary uncoated paper with it’s fibres clearly visible. 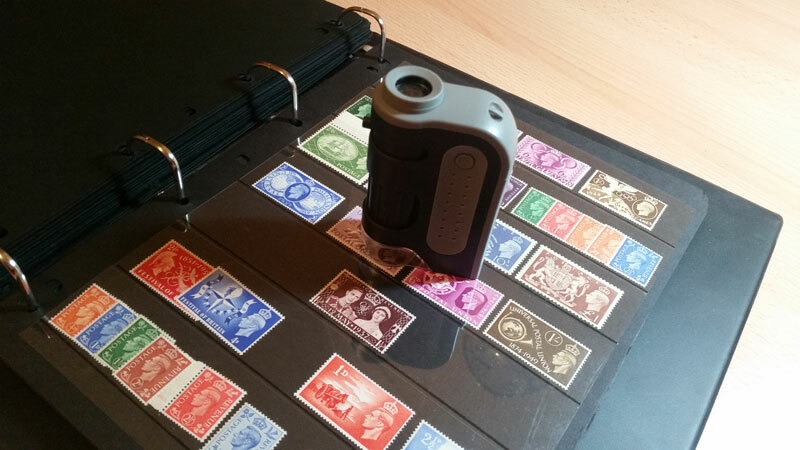 No special connector is required – I just lined up my lens to the ‘scope eyepiece. 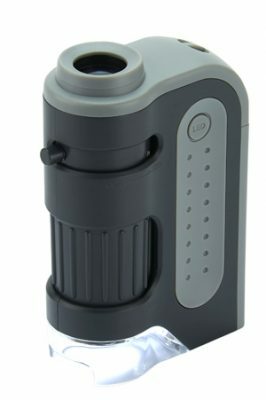 The cost of the microscope is modest, I purchased mine online for less than ten pounds. Really there’s not much more to say. If you are in the market for a small device maybe take a look.